Todays’ guest blogger is Maciej Ciezki. He is an IT professional, advocate of the social ecology and sustainable development and active traveler. One of his biggest dreams has always been to change the World for the better, even the slightest way. 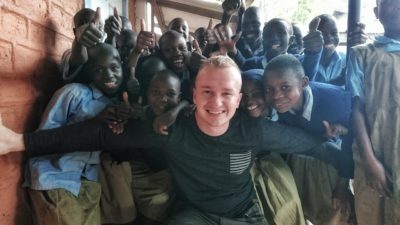 He’s got incredibly motivated to do it after journeys to China, Indonesia and Africa where he saw poverty and tough life circumstances of the local communities. He started his business venture SifakaTX to be able to engage in more charity and “green” projects. This is the story of how SifakaTX came to be, and how Maciej was inspired by lemurs and sifakas to give back. A portion of sales from SifakaTX will be donated to support the Lemur Conservation Network. Hi, my name is Maciej Ciezki and I want to share my story with you. I moved to the USA in January 2017. I have a regular so-called nine-to-five job but I have always wanted to do something more. Among dozens of ideas, I found this one – build a unique brand and sell premium quality products on Amazon. And maybe even slightly change the world for better. I started this journey just a few weeks ago. It takes a lot of time and effort to find a product, check its quality, redesign to meet demands of the most sophisticated customers, and introduce it to the market. 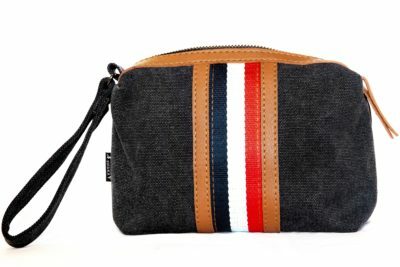 My first and so far only product is this premium quality toiletry and makeup bag which can serve for both men and women. Sifakas are a genus of lemur and the name of their family is an onomatopoeia of their characteristic “shi-fak” alarm call. Like all lemurs, they can only be found on the island of Madagascar. All species of sifakas are threatened, ranging from vulnerable to critically endangered! I will not lie to you…I had no idea what sifakas were before. I was looking for a cool name for my brand and found it accidentally. I started to read about them and was really astonished how amazing they are. From then on, I already knew – I want them in my logo. That is how my special bond with them grew. In the past, I participated in many projects which aimed at helping others. In Kenya, I trained local teachers on IT technology and helped to set up computers at schools. The teachers were very grateful and receptive. I had never experienced engagement in a classroom like this before. I felt like I had been “reborn,” and the enthusiasm was contagious. It was an incredible experience that I will never forget! 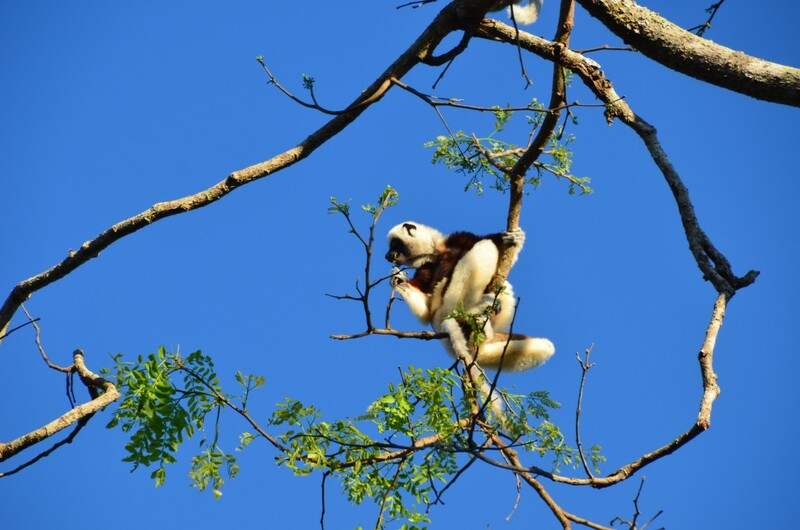 What is SifakaTX doing to help sifakas? I plan to donate a portion of my profit to the members of the Lemur Conservation Network as these organizations are doing a great job preserving endangered animals. I also hope to receive some information from you, dear Readers, on how and what we all can do to spread the word and help lemurs survive, especially sifakas. What is next for SifakaTX? It is the scale that makes this kind of business profitable (or not), so I plan to introduce more products in the near future. 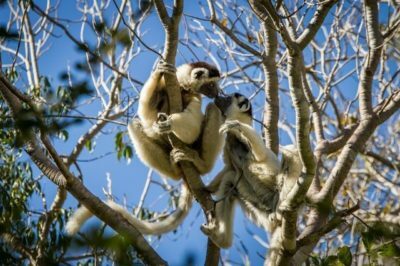 I also want to start a website where I could raise people’s awareness of sifakas and promote the Lemur Conservation Network and help them raise more funds. In the long run, I hope to spend some time on the island of Madagascar as a volunteer.